As I reflect back on 2018, I have realized just how God-driven my year really was. I learned so many things, I made some exciting changes, I traveled down new paths, I made new friends, I embarked on new journies. 2018 will be coming to a close soon and I feel that I have been called to make 2019 another very purposeful, very Christ-centric year. 2018 was a year for self-discovery and I believe in my heart that 2019 is a year for others and to live out my own personal mission statement. J and I have been talking about "family" vacations since before Lexi was even conceived, so you can imagine our excitement when we made the decision to take our very first Beccard Family Trip this year---overnight (more than one) in a hotel! You may also imagine the picture perfect Family Vacation with a three and a four year-old...yeah. That picture you're imagining is probably nothing like what we experienced! 1) Look at a darn map when planning. 2) Lower the sleep expectations. 3) Do a tiny bit more research ahead of time. It's time I got back into the papercrafting mood! After hitting the gym last night (because, the holiday weight is REAL, ya'll!) I had an itching to make a quick card, but I was hitting a creative block. I was scrolling through Facebook (because that's what I do...) and I saw this series of photos of women from the 50's/60's and their Christmas trees and I loved it! I then thought about turning a vintage card into a card for today! So...Pinterest to the rescue! Just look at this pretty card! I saw the tree beautifully decorated in some vintage colors and I instantly grabbed my Ready For Christmas Photopolymer Stamp Set and the coordinating Christmas Staircase Framelits Dies! So, I’m a planner by nature. I have calendars, Family Hubs, lists, and even lists for my lists! It’s almost “planning to a fault.” And that’s what I just learned yesterday. It was my plan to post a Tip Tuesday blog post yesterday. I knew precisely what I was going to write about, I had a free printable available for all you lovelies—it was all set! But I just could never find time to write my post. The kids have been borderline little terrorists for, what seems like the past week, I’m battling a minor, albeit annoying, cold, and I feel like I’m stuck in neutral, just trying to spin my wheels and not going anywhere among the piles of laundry, dishes, dusting, meal planning and prep, etc., etc. etc. Yesterday was my internal “deadline” to get this blog post written— I mean, it was Tuesday! I just had to get it done! That was my plan! But guess what, Friends? Who cares about my plan? God had a different plan for me. And it was actually way better. Today is a very special day. Today is my Mama's Birthday. This lady is a lady who tried to tell me when I was younger "I've been around the block a time or two..." to which I would just shake my head and think "Whatever!" and I now I know --- my Mama was always right. Her infinite wisdom, never-ending hugs, gentle firmness, and constant encouragement shaped me into who I am today and I am so proud, blessed, and honored to celebrate her today. Most everyone thinks their Mom is special, but I have truly grown to know that my mom is extremely special. From being the selfless woman who did everything she could do to become a mom, including welcoming a tiny little baby from Korea into her heart and her home over 30 years ago, to now becoming the loving, nurturing grandma to my two Minis; she really is remarkable. If you subscribe to my monthly newsletter, then this isn't "new" news to you! But, if you don't (and I don't know why you don't! Sign up for it now!) 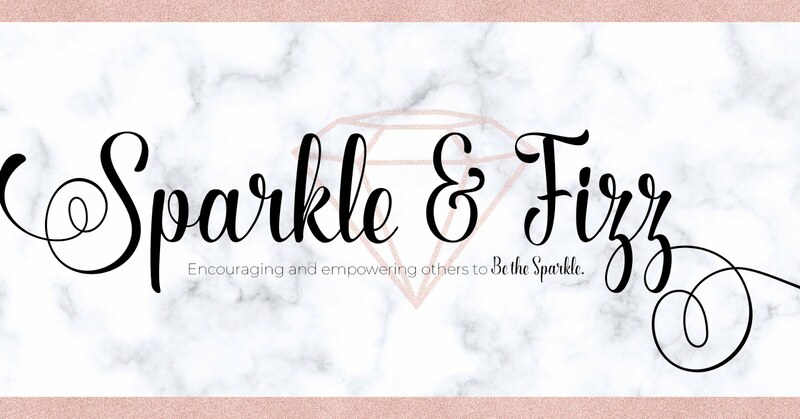 then here's what's going down this month for the Sparkle & Fizz December Challenge: 100% of my profits for the month will be donated to the Goodfellows World-Herald Goodfellows Charity. Well, so instead of a Top 10, I'm changing it to a Top 12! Because I love The Twelve Days of Christmas and I love Christmas movies and why not combine both together to make it 12 Days of Christmas Movies!? I suppose we each all have our own opinions as to what Christmas Movies are *must-haves* on our Watch List, but I would like to think there are some that just generally required, by public agreement. So, here's my Top 12 Days of Christmas Movies List, complete with a FREE Printable so you can make this a Holiday Bucket List Item, if you'd like! I'd love to hear if your favorite movie made the cut or not! It's December 1st and I would love to be one of the first to wish you a "Merry Christmas"! This month is probably full of a whirlwind of activity for you---and if you're like me, your calendar has been jam-packed since October and your head has already started spinning! Ha! But, I just wanted to remind you (and myself!) to take a few moments every day to sit back, relax, and enjoy this time of the year! The holidays are always a little bittersweet as we spend yet another year without my Daddy, but as our family grows older, we begin new traditions and make new memories. This year I have many exciting things planned---Elf on the Shelf (with a spin), Christmas Activities, fun events, personal reflection, and more!